Jean’s caring humanity, gentle humour and sharp mind won her many friends from all walks of life. The youngest of five children, Jean Kennedy McFarlane was born in Cardiff in 1926 and was educated at Howells School. She went to Bedford College for Women, in London, to study Chemistry but it was not for her and she left after the first year. However, during her year studying chemistry Jean worked at a Mission for homeless people. Here she became fascinated with people rather than test tubes, and as a result decided to study nursing, entering the Nursing School at St Bartholomew’s Hospital in 1947. Because of her experience of working with homeless people Jean believed that it was in the community where the greatest differences could be made to people’s lives. Therefore, she undertook further training in midwifery and health visiting and worked as a Specialist TB Health Visitor in Cardiff and West Wales. Jean returned to London to work in the Public Health section of the Royal College of Nursing (RCN). She trained as a Nurse Tutor and in 1960 was appointed Health Visitor Tutor at the RCN. She directed the first programme preparing students for practice in both hospital and in the community. This programme was run in collaboration with King’s College Hospital. Students graduated as registered general nurses, district nurses and health visitors. In 1966 Jean was invited by the Department of Health to lead a series of research studies focussed on the quality of Nursing Care at a time when there was little or no nursing research. Jean became Director of Education at the RCN in 1970 and after a year was invited to come to Manchester to lead developments in Nursing. Professor Alwyn Smith, Head of the Department of Social and Preventative Medicine, was involved in expanding the nursing programme that became, in 1969, the Batchelor of Nursing degree. This was the first degree in the UK that had nursing as its primary focus and students graduated with general nursing, district nursing and health visiting qualifications. Under Jean’s leadership the Department of Nursing was created in 1973 and Jean became the first Professor of Nursing in England. Jean was an inspiring leader and teacher and clinicians and educators beat a path to Manchester to study. In the 1970s very few nurses, or midwives, had degrees so Jean started the Diploma in Advanced Nursing Studies – DANS, which was essentially a bridging course to bring diploma educated nurses up to degree level. Successful students could continue and study the innovative Masters in Nursing programme. This programme appealed to nurses from many countries in the world, enriching the learning environment. Because of her experience and wealth of knowledge Jean was invited to be a member of the Royal Commission on the National Health Service. For her work on this, and her services to the nursing profession, Jean was awarded a life peerage in 1979, going back to her roots and taking the title Baroness McFarlane of Llandaff. She sat on the cross benches, often speaking in debates on health matters. Jean saw her career in nursing as a calling, which was firmly rooted in her Christian faith. She was very active in the church and was a member of the General Synod of the Church of England. “There was great jubilation in the profession that Professor Mcfarlane was to be ennobled to become the first nurse peer in July 1979. The 14 regional nursing officers (RNOs) immediately set about purchasing the ermine robes. “Jean never missed an opportunity of supporting the professions of nursing, midwifery and health visiting, and spoke with authority, clarity and compassion. Her last major speech was in 2003 when she spoke on maternity services. “As a cross-bench independent peer she soon became respected for her knowledge, expertise and compassionate approach. She was a true example of bringing together the science and art of caring. “The 1960s, 1970s and 1980s saw her undertake lecture tours in the US, Canada and Australia. In addition, Jean was a consultant to the World Health Organization (WHO) and personally supported nurses from Africa to study at Manchester. 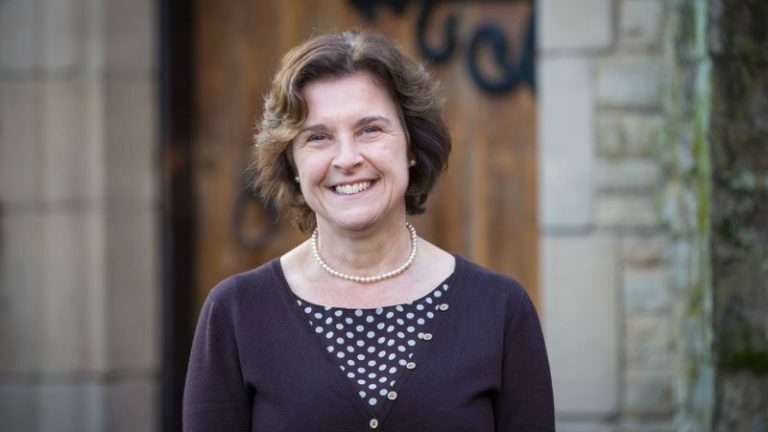 “Most of all Jean is known for developing the diploma in advanced nursing, which allowed registered nurses from across the world to access the University of Manchester’s master’s degree course. “Her graduates are now found worldwide, infiltrating universities, departments of health, WHO, International Council of Nursed (ICN) and professional nursing organisations in Australia, Canada, the Middle East, India, Africa, the four countries of the UK, voluntary organisations and the churches. “My first memory of Jean dates from my days as a nervous, first-year nursing student at the University of Manchester in September 1981. When she began to speak I understood why she was so highly respected. Her apparent ordinariness concealed a keenness of thought and grandeur of spirit that allowed her to transmit her quiet enthusiasm to her audience. Jean McFarlane, Lady McFarlane of Llandaff, who has died aged 86, was one of nursing’s great pioneers. Her work on what has come to be called the nursing process is now an integral part of every nursing curriculum and every nurse’s practice. 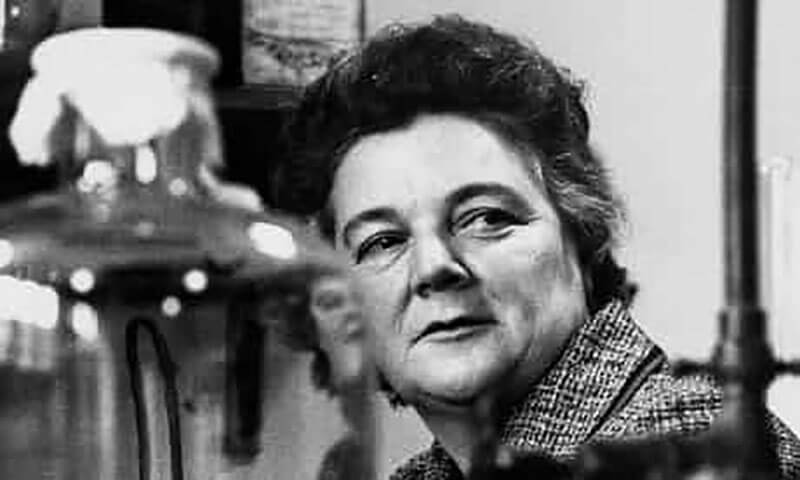 In 1974 she was appointed England’s first professor of nursing, at Manchester University, where she developed a degree course and established the country’s first professorial nursing unit. She was also responsible for England’s first nursing research programme (the Study of Nursing Care), and was mentor to many of those who became the nurse leaders of the next generation. 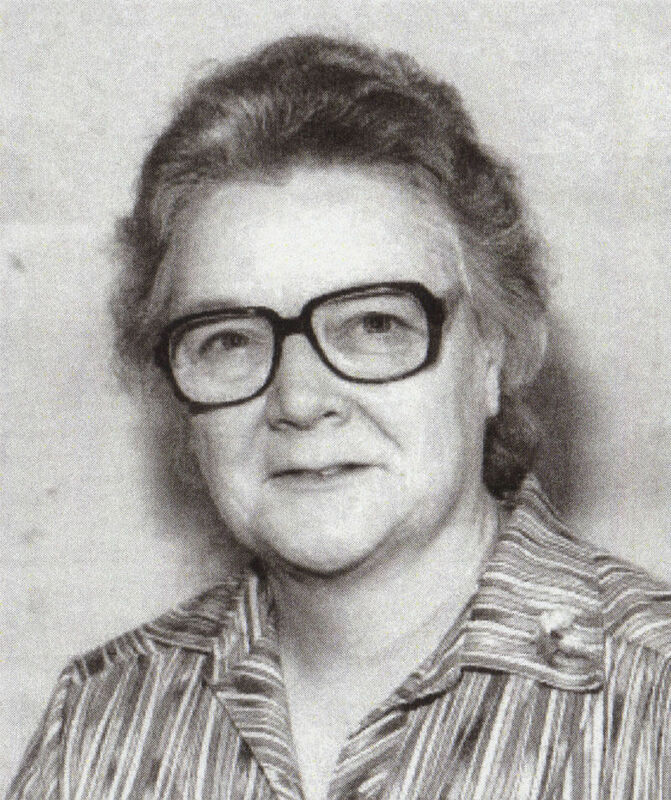 Jean McFarlane in 1974, the year of her appointment as professor of nursing at Manchester University. Although most of her career was spent in England, Jean was born in Cardiff, the youngest of five children, and her pride in her Welsh roots was reflected in the title she took when she was made a life peer in 1979. She went to Howell’s school, Llandaff, and after initial nurse training at St Bartholomew’s hospital, London, returned to Wales to train and then work as a health visitor in Cardiff. The perspectives on healthcare afforded by her six years’ health-visiting experience strongly influenced the nursing degree that she established later at Manchester – a four-year programme which prepared nurses to work both in hospitals and in community settings, as either district nurses or health visitors. In the early 1960s, when Jean qualified as a nurse tutor and took a post as education officer at the Royal College of Nursing in London, the idea that nurses might benefit from a university education and even undertake research was greeted with incredulity, both inside and outside the profession. At the RCN, she became one of a small group of educators who formed the Association for Integrated and Degree Courses in Nursing and began to try to overcome these prejudices. In the absence of any university programmes in nursing, Jean took a BSc in sociology at Bedford College, London, and a master’s in manpower studies at Birkbeck College. Then, in 1967, on the initiative of Marjorie Simpson, a former colleague at the RCN then working at the Ministry of Health with a specific responsibility to develop research in nursing, came an invitation to lead the Study of Nursing Care. 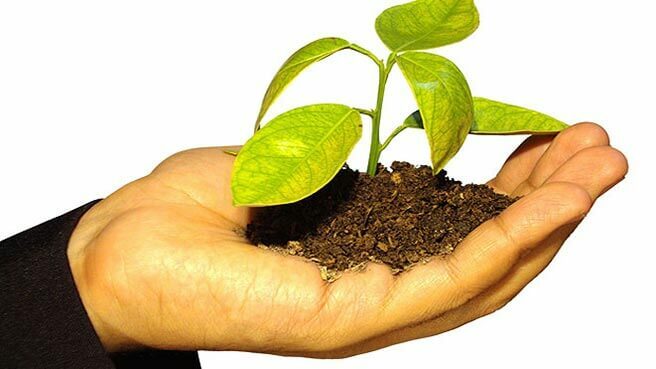 The enterprise was conceived as a series of linked individual projects on various aspects of nursing, in which students would also learn research methodology and gain academic qualifications. In the culture of the time, the initiative was revolutionary, and the results were equally startling. Some of the studies, produced over a number of years, are today seen as classics, and from the first cohort of six students later came the new generation of professors of nursing. Over and above the massive task of co-ordinating the programme and supporting the students, Jean’s particular contribution was her book The Proper Study of the Nurse (1970), which was both a synthesis of the first six studies and an argument for nurses to undertake research into their own practice and to develop the academic discipline of nursing. In 1969 Jean handed over the project to become the RCN’s director of education, then perceived as the leading post in nursing education in the UK. But following an internal reorganisation, she resigned – and was immediately snapped up by Manchester University. She remained there, as professor of nursing and head of department, until her retirement in 1988. She was able not only to initiate some of the most exciting developments in nursing – the first degree in nursing, the first professorial nursing unit, the first joint appointments for nurses between a university and a hospital, the development of “grand theory” in nursing, the introduction of the systematic problem-solving approach known as “the nursing process” – but also to act as support and mentor to many who were struggling in a still-hostile environment. My personal debt to Jean is immense. I was a rebellious and arrogant young student nurse, and she took me under her wing, listened patiently to my sometimes wild ideas, supported me when those ideas got me into trouble and encouraged me to pursue them. Later, she guided and encouraged my research and academic career. I am proud to have been one of her “babies”. Jean’s influence extended far beyond Manchester. Between 1976 and 1979 she served as a member of the royal commission on the NHS. She was one of the first fellows of the RCN, and the first chair of the RCN representative body (now called RCN congress). In the House of Lords, she was a member of four select committees. She served on the Commonwealth War Graves Commission and was national president of the Girls’ Brigade. She was a committed Christian, a staunch member of her local church, and between 1990 and 1994 a member of the general synod of the Church of England. She took particular interest in the hospice movement, and was until 2008 vice-president of St Ann’s hospice in Heald Green, Cheshire.